Thank you for not using mint in your delicious pea soup. I really don’t care for the taste and several others in the linkup used it, ruining their soups (in my mind). Love the idea of adding basil! 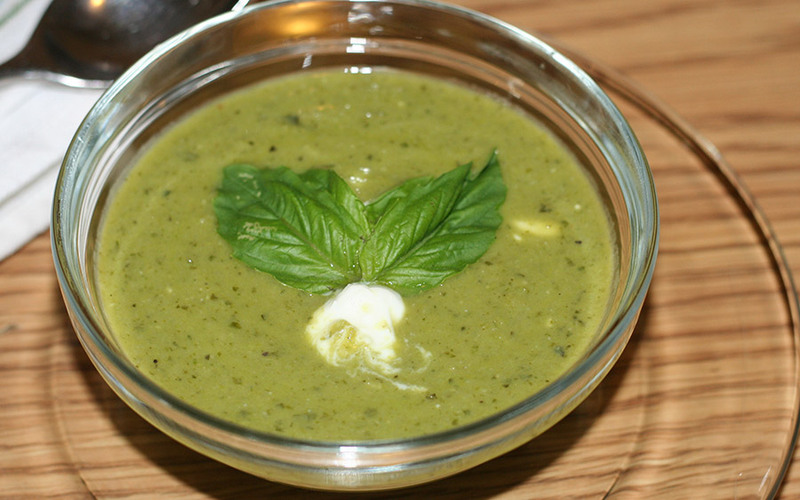 I love mint in drinks and other applications, but not so much in soups. Glad you like the basil. Yum, love pea soup in all forms. I can’t imagine a cold pea soup. Definitely a must try. Great recipe! 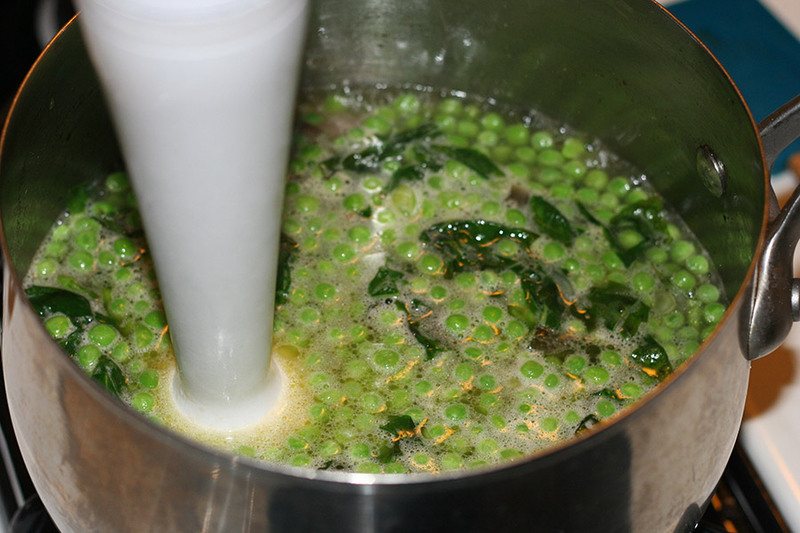 This is the second cold pea soup and between the two recipes, I am convinced this is a winner. i love pea soup! this sounds great! I see so many people don’t like cold soup. But I do! So nice in the summer, especially for company and especially when so much fresh produce is available. Love English peas and basil combo. Great idea! 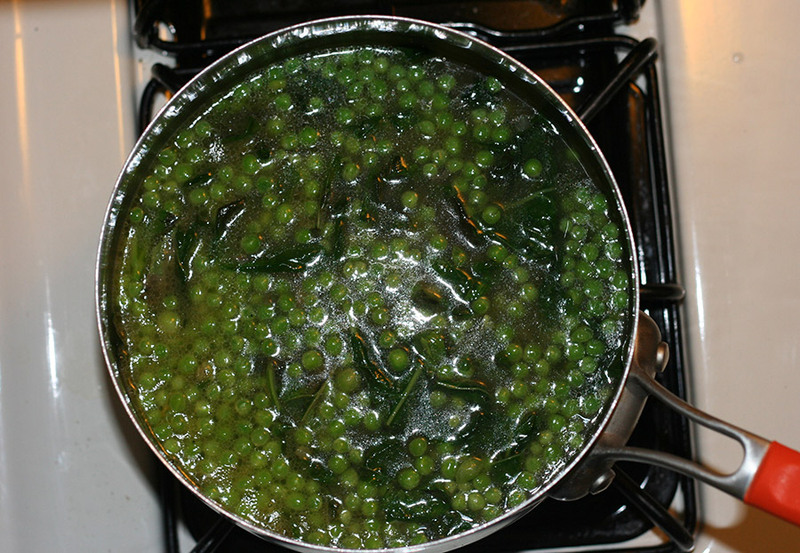 basil an peas sound so delic! Peas and basil are such an interesting combination! We will try anything made with basil! Love the excellent shade of green you were able to keep this – looking good! I love the color of this soup! So pretty. This sounds really nice and refreshing!